The lack of written local design history is one constant concern I hear from graphic designers in Tāmaki Makaurau and Aotearoa as a whole for that matter. While there have been concerted efforts from key individuals who have taken the mighty thankless task of putting words to design upon themselves, as a whole it appears to be a fairly mix bag approach. 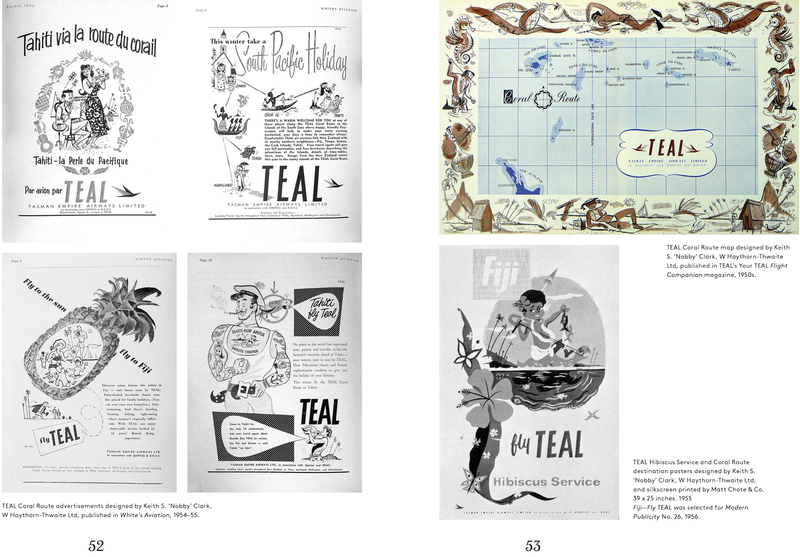 One new player to tackle the dearth of information is BackStory, the Journal of New Zealand Art, Media & Design History. BackStory is a journal aimed at “those interested in ‘looking back’ at New Zealand’s art, media and design history. It is envisaged that this new journal will provide an opportunity to explore our rich heritage in these fields.” Published by Auckland University of Technology, the editorial team includes Dr Alan Cocker, Dr Peter Hoar, Rosemary Brewer (all from the School of Communication Studies), Dr Peter Gilderdale and Dr Simon Mowatt (from the School of Art & Design) with Minna Pesonen as designer. 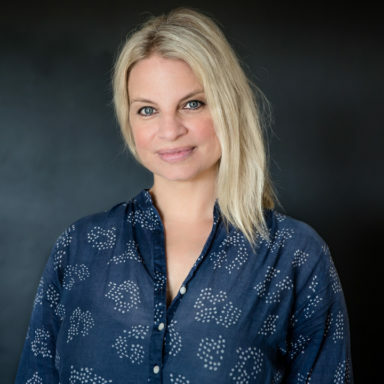 Posited as a follow on from the Journal of New Zealand Art History (JoNZAH) which ceased publishing in 2013, BackStory aims to fill the gap left by JoNZAH while also widening the scope to include media and design. The expansion to include design and media is an obvious one, it all works together to create visual and cultural histories. 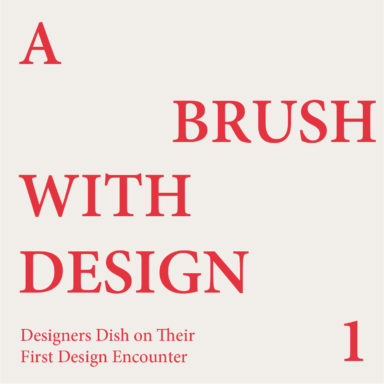 For design, whose record of history is in its infancy compared to say art, it not only enables a support network for the conversation in terms of financial and human resources but also brings new readers to design histories. Two issues down, with the third due out in July this year, means it’s too early to be able to judge the impact of BackStory, although we do have a sense of the kind of stories it will produce. The first issue includes a profile by Phillip Heath on Graphic Designer, Nobby Clark entitled Nobby Clark: Keith S. Clark (1921-2008) Graphic designer, illustrator, writer and artist. 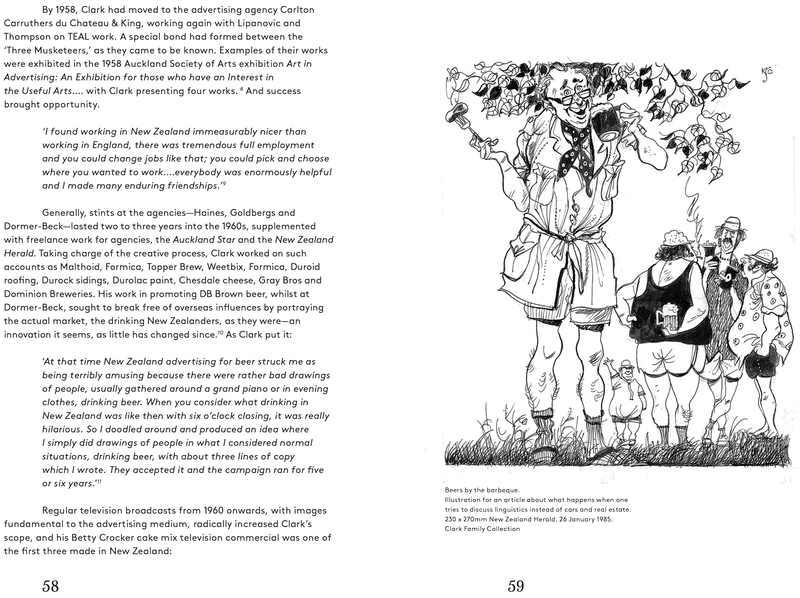 The piece outlines the history of Clark’s design practice from when he migrated to Aotearoa New Zealand from England and everything he made from that moment on, advocating for his significance in the local design conversation. The piece sits alongside some well recognised images providing welcome context, while reminding us of person behind the design. 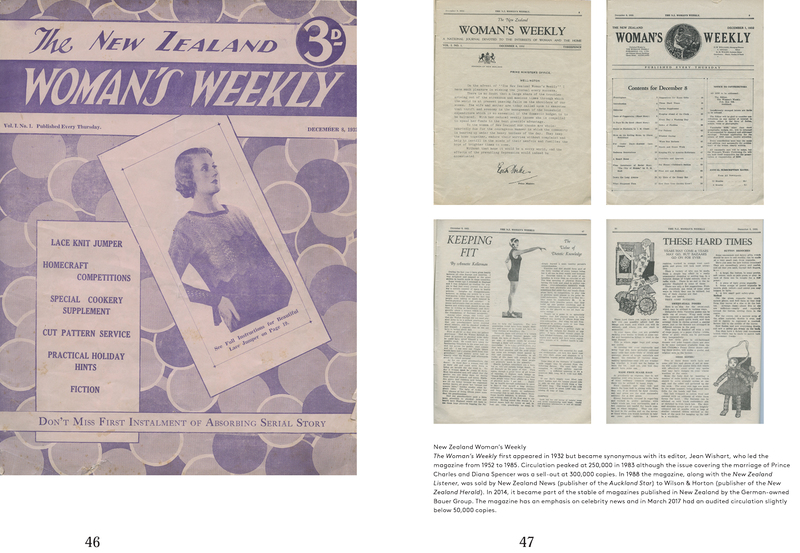 The second issue includes an unexpected article from Gavin Ellis providing insight into two of Aotearoa New Zealand’s oldest woman’s publications, Woman’s Weekly and The Mirror. 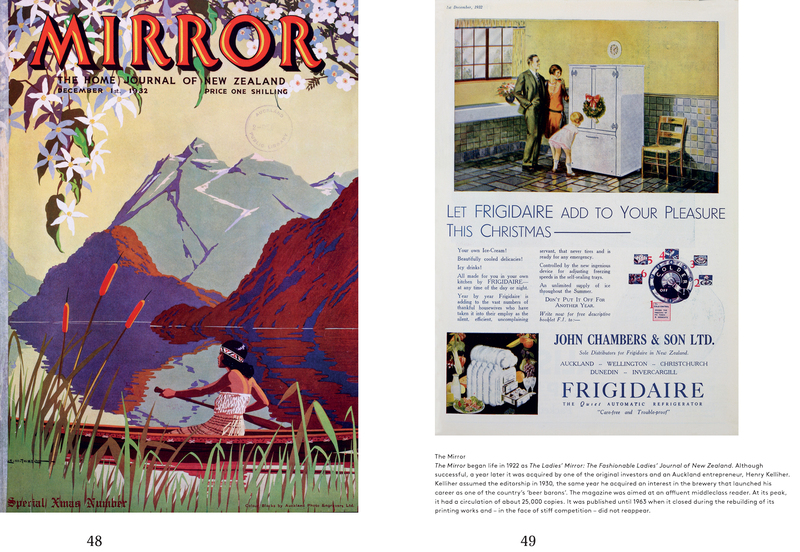 The piece entitled, Poor cousin who came to stay: The well-established Mirror and the despression-era launch of the New Zealand Woman’s Weekly, places the magazines “within the processes of change that were occurring in the years following the First World War when perceptions of the roles of women were changing and domestic consumerism was evolving”. BackStory is an exciting edition to the local design conversation, in part due to it being a print artefact in the digital age. Submissions for the next issue are open until next month and I for one am looking forward to looking back.